Did you know broccoli is part of the cabbage family? It’s large, flowered head is the vegetable we eat! In fact, the word broccoli has its roots in the Italian language as the plural of a word which translates as "the flowering top of a cabbage." 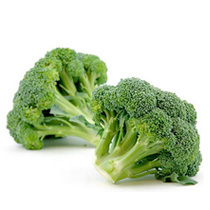 Broccoli is classified in the Italica cultivar group of the species Brassica oleracea, the same as many other crops we grow including both Kale and Cauliflower. Broccoli has been around for at least 2,000 years and was a favorite food of the Romans. A traditionally popular vegetable, broccoli's spectacular reputation keeps growing as its consumption has tripled over the last 25 years. At Innovative Produce we produce broccoli of the highest quality for both export and domestic consumption. 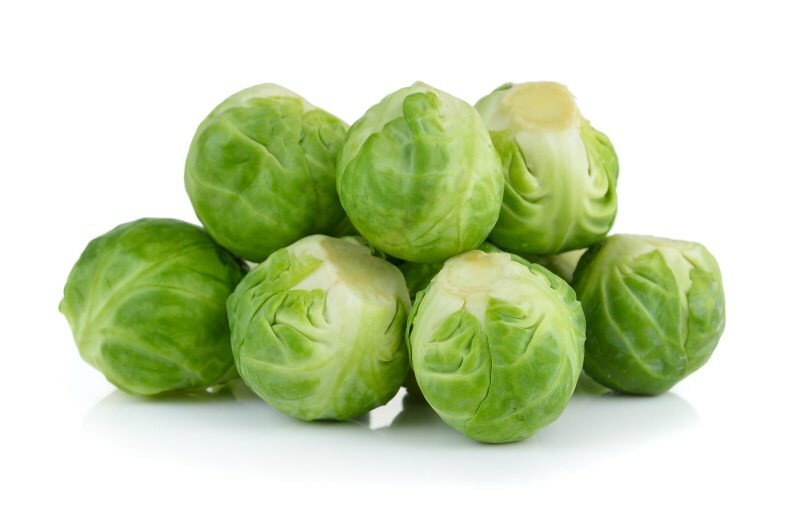 One of the hottest new superfoods on the market this brassica has shed it's image as a bitter and unappetizing side dish to become a versatile and tasty option. We believe there is no better place to grow Brussels Sprouts than the Santa Maria Valley where harvest is possible all 52 weeks of the year. Carrots come in all shapes and sizes. 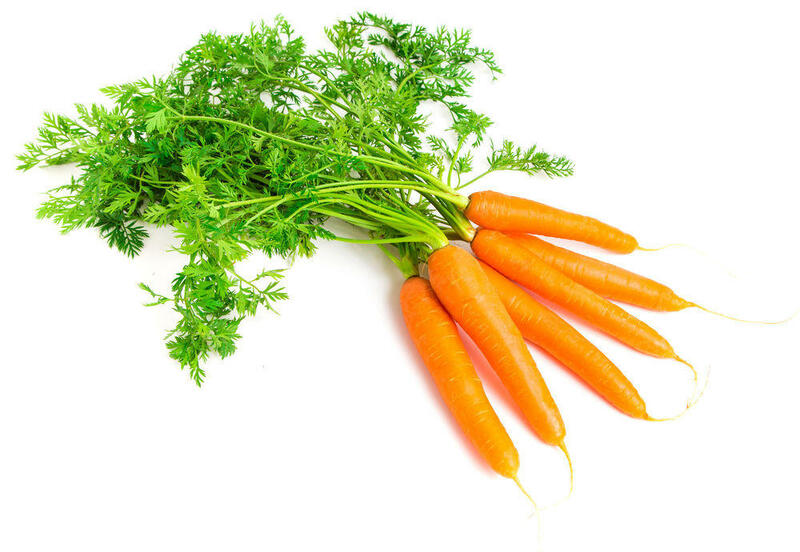 From the iconic orange Nantes variety to all other colors of the rainbow this healthy snack has long been a favorite for snacking and hearty dishes such as stews and roasts. Cauliflower is a close relative to broccoli and during early stages of growth the plants look strikingly similar to the untrained eye. As it matures, the plant produces "wrapper leaves" which encircle around the snowy white curds protecting them from the yellowing effects of the sun. 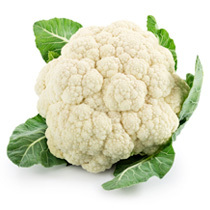 A perfect head of cauliflower maintains its brilliant white appearance and a delicious crunchy texture. The high nutritional value of cauliflower along with its versatility in the kitchen (it is now used from everything as a substitute for buffalo wings to an additive to pizza crust) has lead to a steady increase in its popularity. Few vegetables offer a better combination of versatility and nutrition than cauliflower. The unmistakable form and crunch of celery makes it an essential ingredient not only traditional soups and stews but also in many of today's popular appetizers from the party platter to the bloody mary. 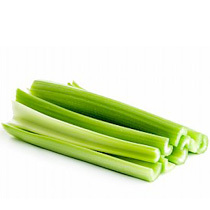 Contrary to popular myths, celery doesn't really contain negative calories; but chomp away, at only 6 calories per stalk, it's definitely one of the lowest calorie foods (just watch out for the peanut butter and ranch!). Cilantro, also known as Coriander or Chinese parsley, may be seen as a trendy herb, but it has actually been utilized for many centuries. 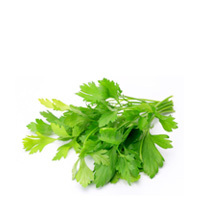 Cilantro leaves are finely divided and sit atop of a slender stalk which is very similar to parsley. 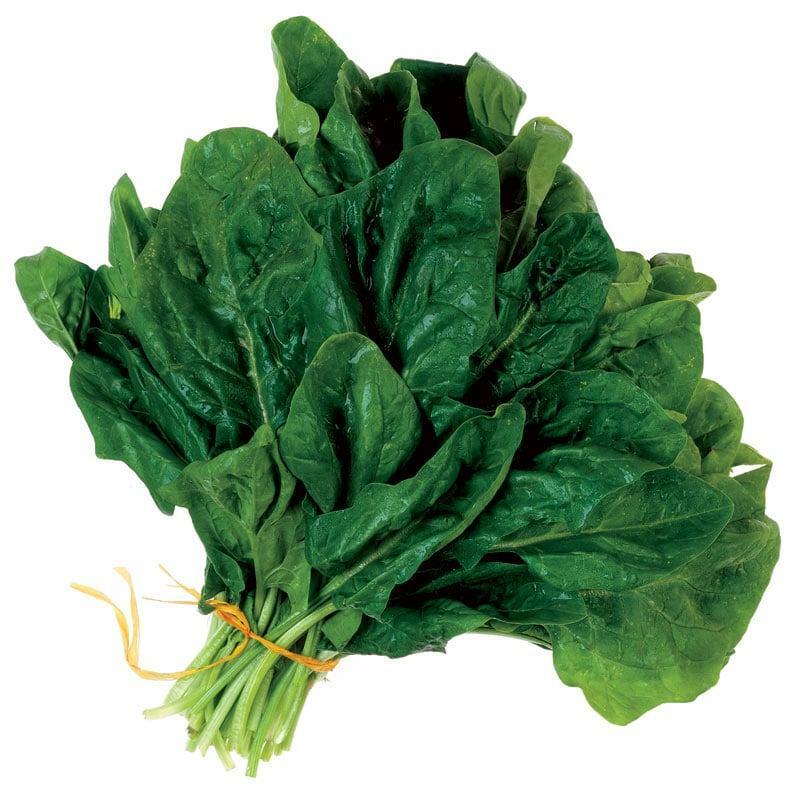 It has many health benefits due to its high levels of potassium, calcium, manganese, iron, and magnesium. All parts of the plant are edible, but the fresh leaves and the dried seeds are the most commonly used in cooking. Cilantro is easily recognizable by its strong, spicy, and even nutty flavor making it a favorite in many Latin American, Asian and Mediterranean dishes. Iceberg lettuce has a bold flavor and form. Its crunchy texture makes it a good choice for salads and sandwiches. 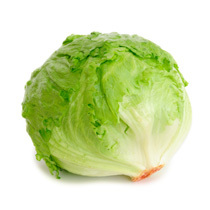 Iceberg lettuce is sometimes thought of as having low nutritional value but that’s simply not true. 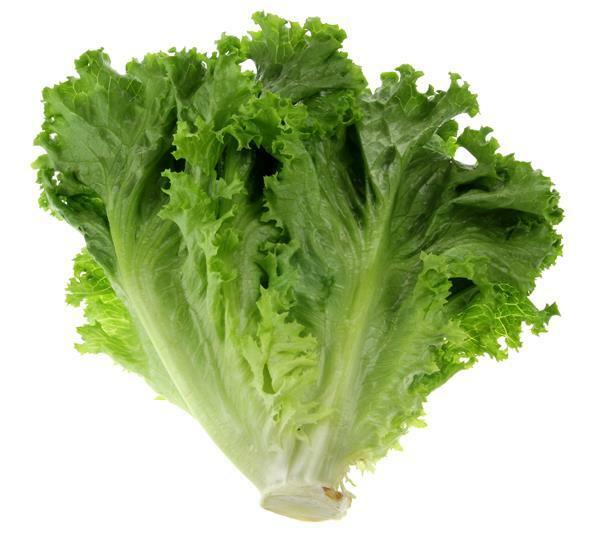 As a good source of fiber, potassium, calcium, Vitamin A, Vitamin C, and iron, iceberg lettuce is a great addition to any healthy diet so eat up! Italian Parsley is a member of the Apiaceae family which contains herbs known for their aromatic properties and hollow stems. This parsley is cultivated as an herb, vegetable, and spice. It can be initially distinguished from its counterparts by its flat, deeper green, loosely-toothed leaves and its aromatic oils. 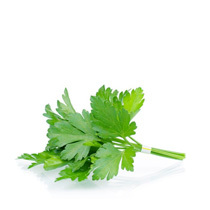 Italian Parsley is rich in antioxidants including vitamins A, C, E and carotene. Its mild, fresh flavor can be used in anything from soups and stocks, to cheese, and even seasoning fresh meats. Kale is a form of cabbage (Brassica oleracea Acephala group) which grows in a variety of different shapes and forms with some varieties reaching as high as six or seven feet. Of the many different varieties available we grow three types of kale: Tuscan, Green, and Red, all delicious in their own ways. Rest easy with kale in your diet, it's high in beta carotene, potassium, vitamin C, lutein, zeaxanthin, and reasonably rich in calcium. Kale, along with broccoli and other Brassicas, contains sulforaphane (particularly when chopped or minced), a chemical with potent anti-cancer properties. 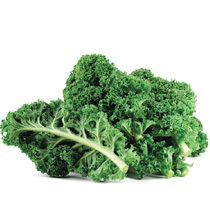 The health benefits of Kale go on and on, likely why it is praised as a super food! Leaf Lettuce has always been the sandwich maker. With it's soft delicate texture and bright green color green leaf lettuce is a great way to compliment your burger or complete your salad. 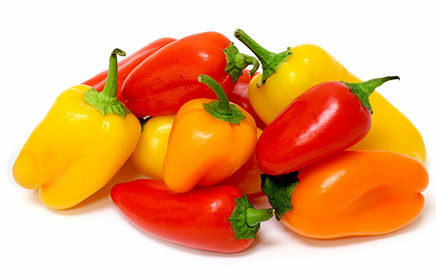 Mini Sweet Peppers are a great snack for kids and adults alike. Dip them in your favorite hummus/dressing or enjoy them solo for a healthy midday snack. 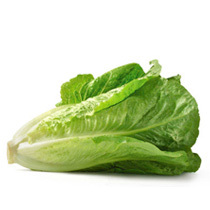 Romaine, or cos lettuce, is a variety of lettuce that grows in tall heads of sturdy leaves with a firm rib down the center. The name cos lettuce derives from the Greek island of Kos, where it originated, and to this day remains a key ingredient in the classic Greek salad. The thick ribs of the larger outer leaves, should have a milky fluid inside which gives romaine the typically fine-bitter herb taste. If this does not suit your tastes, try this lettuce in its increasingly more popular form as sweet Romaine hearts. Romaine is the essential ingredient in Caesar salads and is commonly used in cuisine around the globe. 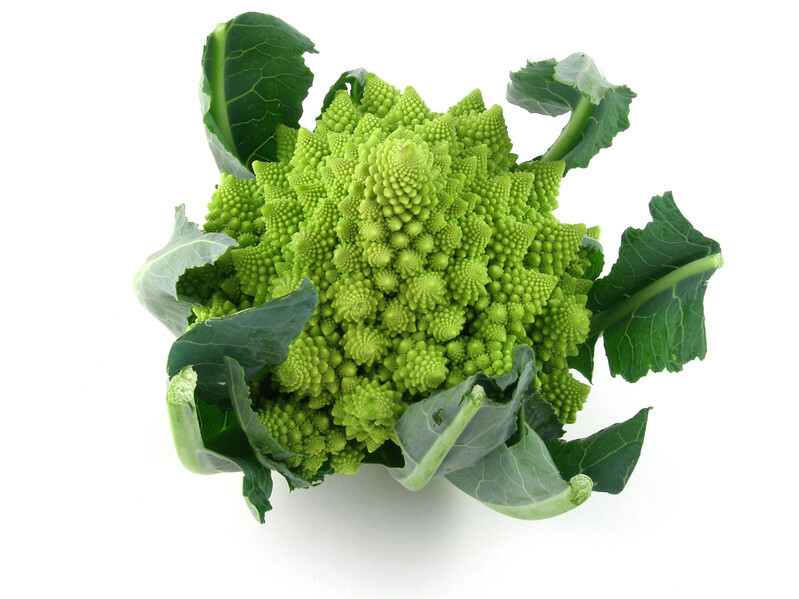 Romanesco is a relative to Broccoli and Cauliflower. These members of the Brassica oleracea family have been cultivated in the Santa Maria Valley for generations due to it's ideal temperate climate. With its stylish look and delicious taste Romanesco is hard to pass up for any chef. Spinach is a versatile vegetable. From juices to salads, smoothies to pastas spinach seems to find its way into all of our dishes. Organically spinach is very susceptible to attack by mildew, but given the right conditions it thrives in the Santa Maria Valley. The Santa Maria Valley is the premium outdoor strawberry growing area. With cool nights and temperate days we enjoy a year round harvest season achieved through two separate plantings. 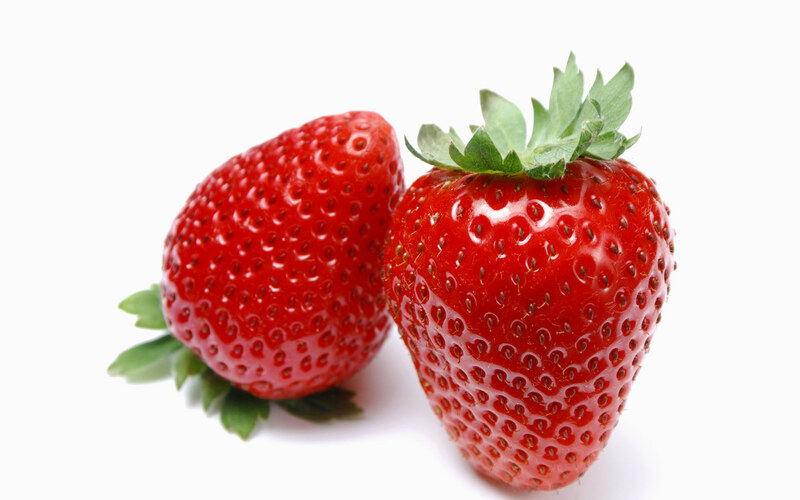 With superior quality and consistency Santa Maria Strawberries continue to delight consumers worldwide. 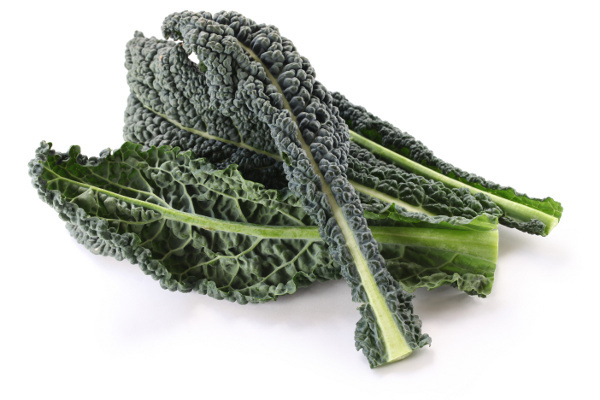 Tuscan Kale is a vegetable known by many names: Black Kale, Dino Kale, Lacinato Kale, Cavolo Nero. It is slightly sweeter than its green brother and has an appetizing dark green appearance. Try it in Ribollita soup, a hearty dish from it's namesake area.